We spent 2014 wondering how best to launch the Lifeline, our ten year ‘ground up’ strategy for greening Dublin’s Northwest City (NWIC). 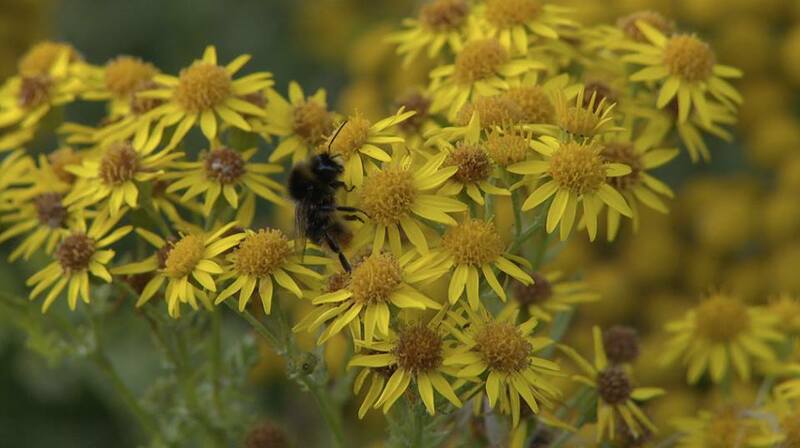 In the end we felt bees, their principals and behaviour, best communicated our vision and declared 2015 the ‘Year of the Bee.’ We had no idea how effectively these highly principled creatures would illustrate the importance of protecting and creating links between urban ‘wild’ spaces to reconnect NWIC communities with nature and provide a living laboratory for the new DIT campus. Our Project Bi Newsletter Spring 2016 (click to download PDF), gives you a short synopsis of what we learned from the bees last year and how this process gave birth to Bí, the active wing of the Lifeline, where we will continue to experiment with new ways of living and working to support responsible urban design and planning in collaboration with our European network urban beekeeping partners. 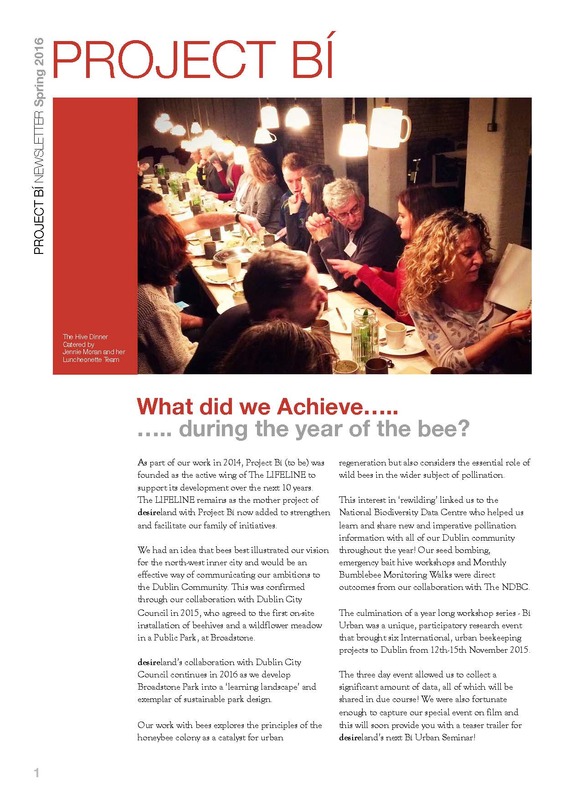 The ‘Year of the Bee’ peach kulcha presentation was produced by desireland to document our 2015 activities for participants at Bí URBAN, our last event of the year, an action science workshop which asked the question: Are Bees Leading us Toward more Responsible Design and Health in Cities? 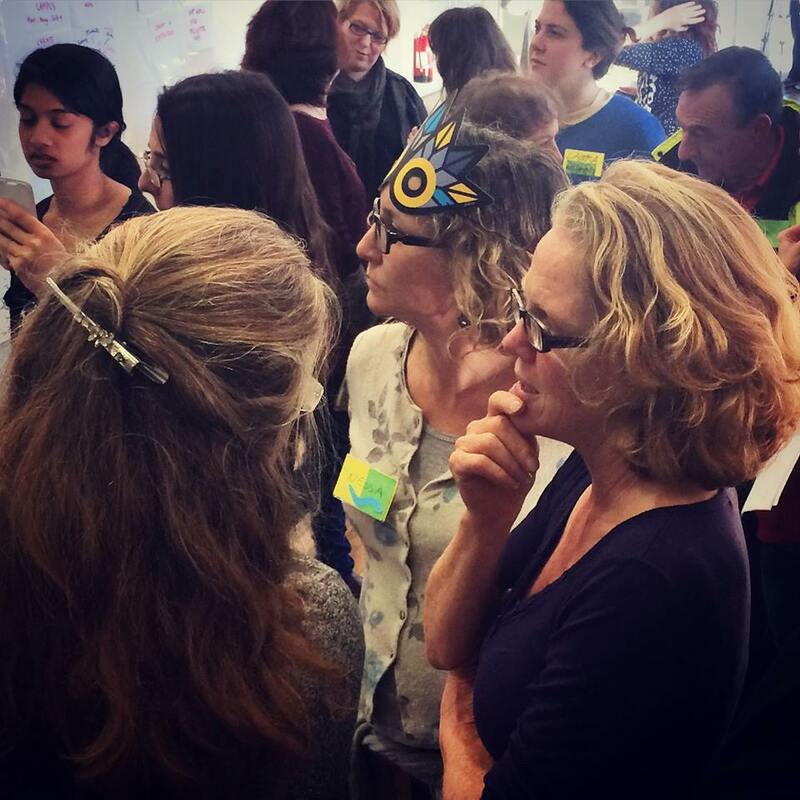 This workshop has lead to our decision to establish a permanent main street studio where we can continue to explore the use of bee principals as a catalyst for new ways of living in the city.